Purchasing a carpet can represent a significant investment and like all quality home furnishings, proper care is required to maintain its beauty. With the correct care and maintenance, you will extend the useful life of your carpet and assure many years of comfort and satisfaction. We recommend that you follow these care and maintenance guidelines in order to protect your investment. 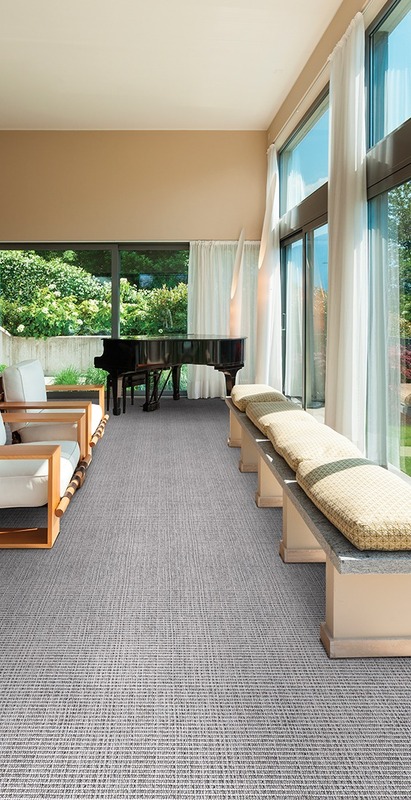 Carpet fibers are designed to hide soil and reflect light. Consequently, soil in carpet is not as visible as it is on smooth flooring where soil remains on the surface and is easily seen. The ability of today’s carpet fibers to hide soiling is a positive feature. However, the lack of apparent soiling does not eliminate the need for regular cleaning. Soil can damage the fibers permanently if allowed to remain in the pile. Even with carpet’s ability to resist soiling and stains, a regular maintenance program extends the life and appearance of your carpet. Whether you’re cleaning out the spare bedroom or just tidying up around the house, it is important that dirt and dust are removed, not simply moved around or thrown back into the breathing zone. Properly vacuuming carpet is the easiest and most effective way to keep your carpet clean. It may be surprising, but something as simple as regular vacuuming can also have the largest impact on the cleanliness of your home and the air you breathe. We recommend vacuuming areas often that receive the most traffic, such as hallways, stairs, and exterior entryways in the home. Ideally, vacuum all the floor coverings a minimum of once a week, and the high-traffic areas more often, based on the usage. If you have pets, you may need to vacuum some areas daily. Removing loose soil while it remains on the carpet’s surface is important so that it is not walked into the carpet pile. Use a vacuum cleaner that effectively removes soil and minimizes generating dust from the filters and around the machine. 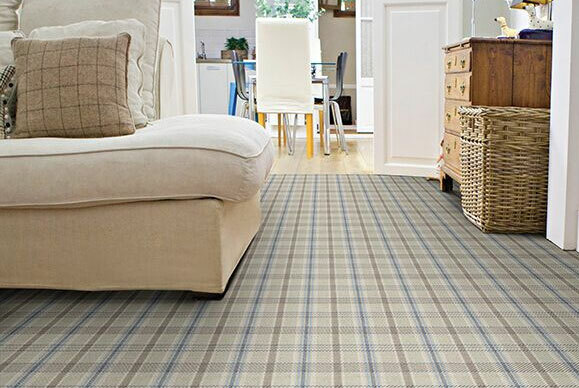 Shedding, or fluffing, is a natural characteristic of all wool or wool blend pile carpets. 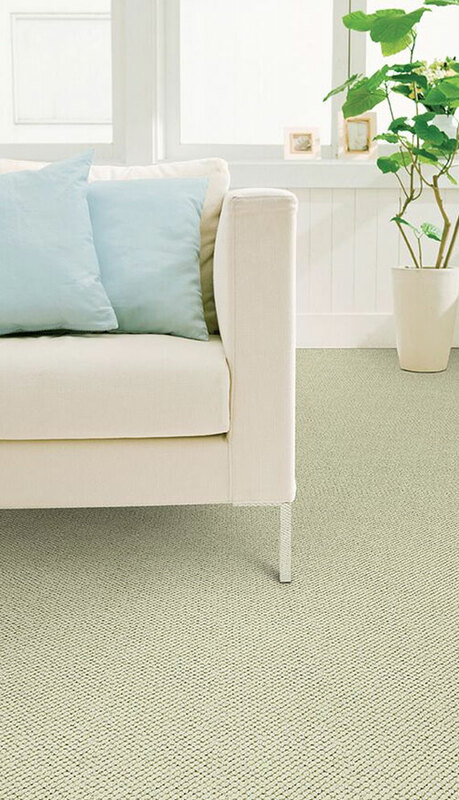 Loose bits of natural fiber can appear on the carpets surface and can be removed with gentle vacuuming. Some carpets, especially wool Berbers, require a vacuum with very mild or no agitation device (suction only). 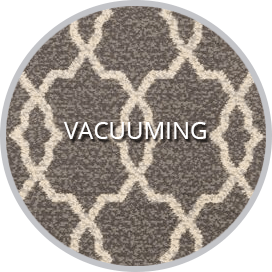 Improper maintenance or overly aggressive vacuum methods can distort the carpet pile and cause fuzzing. If you are using a vacuum with a beater bar, height adjustment is critical. Height adjustment is correct when the beater bar contacts the pile enough to vibrate the carpet lightly several inches away from the machine, but not enough to cause significant slowing of the motor. Vacuuming across the traffic pattern occasionally, rather than in traffic direction, will help prevent matting. Change the bags often and check the beater bars for burs and gouges, so as not to damage the surface of the carpet. Some thick loop pile carpets will fuzz if a rotating brush vacuum is used. In this case we recommend a suction vacuum only. Daily vacuuming is the most important cleaning activity, but restorative cleaning must be performed to remove stubborn or embedded soil. We recommend that your carpet be cleaned using a restorative cleaning method every 12 months before soiling shows. Professional Cleaning Services should be considered before your carpet begins to show soil. Letting carpet become excessively soiled will make cleaning more difficult and shorten the carpet’s useful life. Obtain recommendations from satisfied friends, carpet retailers, the Better Business Bureau and local business groups for reliable, certified cleaning professionals in your area. In order to determine the amount and type of cleaning services needed, have a cleaning representative come to your home for a visual inspection. He or she can check the carpet for problem stains or excessively soiled areas that require additional attention. Obtain a written agreement for all work to be performed. Beware of pricing that is “too good to be true”. Professionals should charge only for services that are authorized in writing before cleaning begins. Most cleaning is based on the total number of square feet to be cleaned. Many firms have cleaning specials; however, pricing by the room or low prices quoted over the phone may have hidden restrictions or additional cost add-ons. A reliable firm will tell you the steps needed to clean your carpet and provide a written agreement before work begins. If you question the need for any required add-ons, contact your Authorized Couristan Dealer for assistance. Carpets with loop textures vacuum with suction only to avoid damaging the loops. There are several acceptable methods of cleaning that produce satisfactory results; however, the key element in all is that you clean your carpet before it becomes too unsightly, cleaning will be easier and more successful. With each method listed, please be sure to contact your Authorized Couristan Dealer prior to cleaning; we highly recommend that these methods be performed by a Professional Carpet Cleaning Service. The absorbent pad method should only be used by a properly trained cleaning professional. The rotary bonnet method uses a machine similar to a floor buffer with an absorbent spin pad attached to remove the soil. The spin pad absorbs soil onto the pad, and soil is removed when the pad is rinsed. To reduce pile distortion, keep the absorbent pad well lubricated with cleaning solution. Replace pad often to prevent transfer of soil back to the carpet face. An absorbent compound saturated with detergents and solvents is brushed in and around the fibers with specially-designed machines or brushes. The compound attaches to the soil particles, and both the soil and compound are then removed by vacuuming. In dry foam cleaning, a detergent solution is whipped into a foam and applied to the carpet. The foam is worked into the carpet by a specially-designed machine with reel-type brushes, followed by wet vacuuming. Some machines have their own extraction capabilities while others need thorough vacuuming after the carpet is dry. This method is sometimes called “steam cleaning”. Areas of heavy use are preconditioned to suspend ground-in soil, then a pressurized cleaning solution is injected into the pile. Suspended soil and solution are immediately extracted. Follow directions carefully and avoid overwetting. Ensure speedy drying by using fans, operating the building air conditioning system (HVAC) in the “on” position and by performing additional drying strokes. Stain-resist treatments provided on most carpets are designed to repel most acid-based dyes in many, but not all, foods and beverages. With proper patience and prompt attention, most common household spills can be removed. For successful spot removal, the following suggestions should be followed. 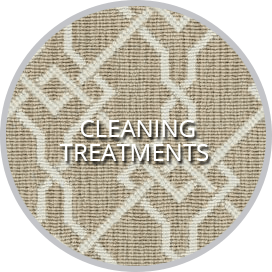 It may be necessary to contact a carpet-cleaning professional for assistance with stubborn stains that require a great deal of extra effort to remove. Act quickly! Many spills can be removed if immediate action is taken. The longer the delay, the higher the probability of a spill becoming a permanent stain. Complete removal of many common spills may require repeated use of a single solution, or the use of a combination of solutions. Always use the solutions in the concentrations recommended. Continue using each solution as long as there is noticeable improvement or transfer of the spill. Follow these simple steps carefully, in sequence. Blot liquids with a dry, white, absorbent cloth or white (no printing) paper towel. Do not scrub the area! Scrubbing can cause pile distortion in the affected area. Continue to use a dry cloth or paper towels until the area is completely dry. For semi-solids, gently scrape up with a rounded spoon. Solids should be broken up and vacuumed until completely removed. If the spot can be identified, locate the substance in the Treatment Chart below and follow the directions carefully. Pretest any spot removal agent in an inconspicuous area to make certain the solution will not damage the fiber or the dye in the carpet. After applying several drops to the testing area, hold a white cloth on the wet area for 10 seconds. Examine the carpet and cloth for color transfer, color change or damage to the carpet. If a change occurs, select another cleaning solution. Apply a small amount of the selected cleaning solution to a white cloth, allow it to sit for about 10 minutes and work in gently. Work from the edges of the spill to the center to prevent the spill from spreading. Do not scrub! Blot, absorbing as much as possible, and repeat if necessary. Continue using the first cleaning solution as long as there is a transfer of the spill to the cloth. It is not necessary to use all of the cleaning solutions if the first solution removes the spill. Be patient! Complete removal of the spill may require repeating the same step several times. After the spill has been completely removed, rinse the affected area thoroughly with cold water, and blot with a dry cloth until all solution has been removed. Some cleaning solutions will cause rapid soiling if the solution is not completely removed. Apply a one-half inch layer of white paper towels to the affected area, and weigh down with a flat, heavy object that will not fade. Continue to change paper towels as needed. Please Note: Areas of soiling that appear after spot cleaning are most often caused by inadequate removal of spot removal solutions or spills that leave a sticky residue. Some available carpet cleaning solutions may have a pH higher than 10 and/or optical brighteners which may distort the carpet color. Also, some available carpet cleaning solutions may leave a detergent residue causing carpet to quickly re-soil. If you use a carpet cleaning solution, follow the label directions and be sure to rinse, rinse, rinse. Use a nail polish remover without conditioners. Mix 1 cup white vinegar with 1 cup water. Warm water should be used in most cases for rinsing. Mix 1/4 teaspoon of a clear (non bleach, non lanolin, no optical brighteners) dishwashing liquid with 1 cup warm water. Allow the detergent solution to remain on the affected area for 10 to 15 minutes to lift the stain. It may be necessary to rinse with warm water several times to completely remove residues. Never use an automatic dishwasher detergent because many contain bleaching solutions that can destroy the carpet color and damage fibers. Never use a laundry detergent of any type, because laundry detergents may contain optical brighteners (fluorescent dyes) that dye the fiber. Use caution when using a dry cleaning fluid or solvent. A nonflammable, spot removal solution is preferred. Transfer to the spot with a white absorbent cloth, not by pouring the fluid directly on the carpet. Direct contact may destroy the backing. Mix 1 tablespoon of household ammonia with a cup of water. Be aware that ammonia, if used improperly, can cause a color change. Be sure to test a hidden area. All dry spills should be scraped up with a blunt object and then vacuumed to lift and remove as much of the remaining substance as possible. Pouring any liquid onto a dry spill can create additional problems. Unusual spots and stains may require specialized removal procedures to avoid permanent damage to fibers or dyes. 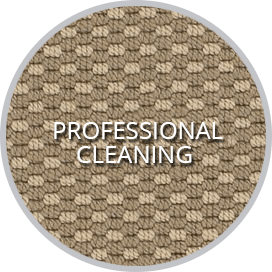 A carpet-cleaning professional may be able to restore the original appearance with special treatments, re-dye the affected area or replace the damaged area.